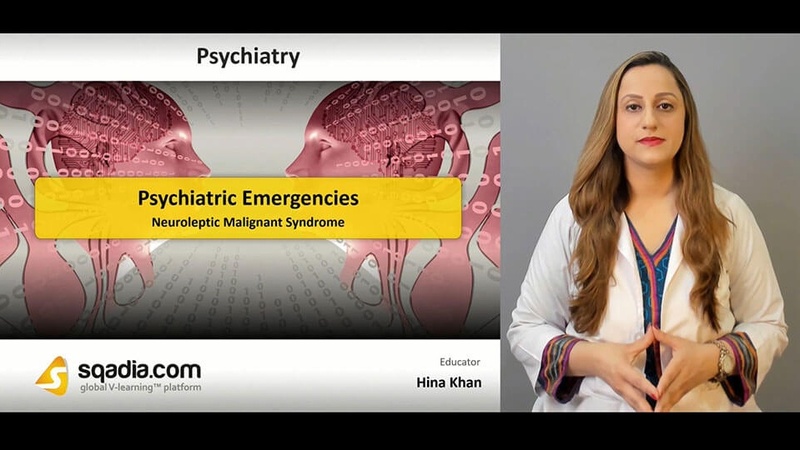 This sqadia.com medical video lecture is the explication of psychiatric emergencies. 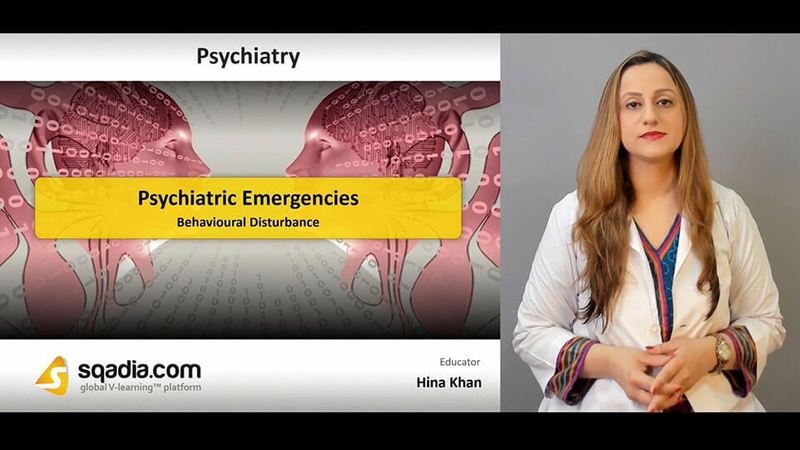 Dr. Hina Khan enlightens the fact that being a medical practitioner how to face and manage the psychiatric emergencies. 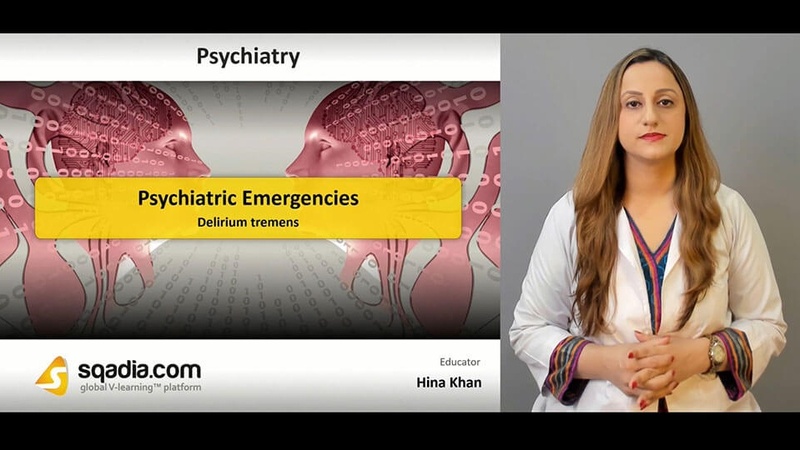 Ranging from behavioural disturbance to delirium tremens, precise explanation is given. Also, how pharmacological approach such as antipsychotics play a role in treating psychiatric illnesses. 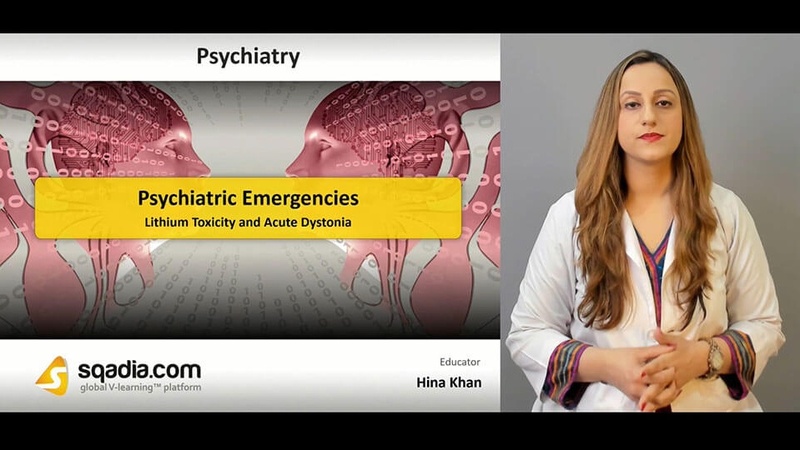 Role of lithium toxicity and acute dystonia is also narrated. Lastly, neuroleptic malignant syndrome is discussed and also medications causing NMS. Acute Behavioural Disturbances (ABD) are discussed primarily in this section. About 10-20%of ABDs are caused by pure psychiatric illnesses. 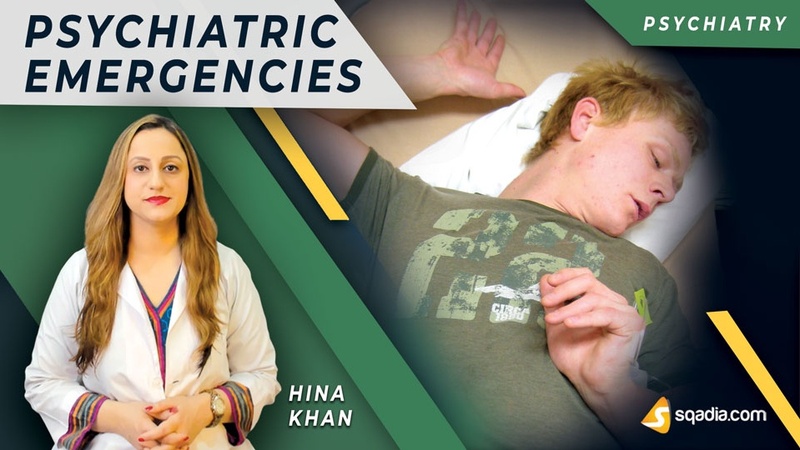 Clinical presentation of acute behavioural problems is characterized by several factors such as acute confusional states, sleep wake schedule, aggression and irritability. Causative factors are alcohol intoxication, hypoglycemia, sepsis. First element of non-pharmacological approach is communication. Then light is shed on rapid tranquilization. Likewise, antipsychotics are the first line treatment. IM administration is required for urgent intervention. 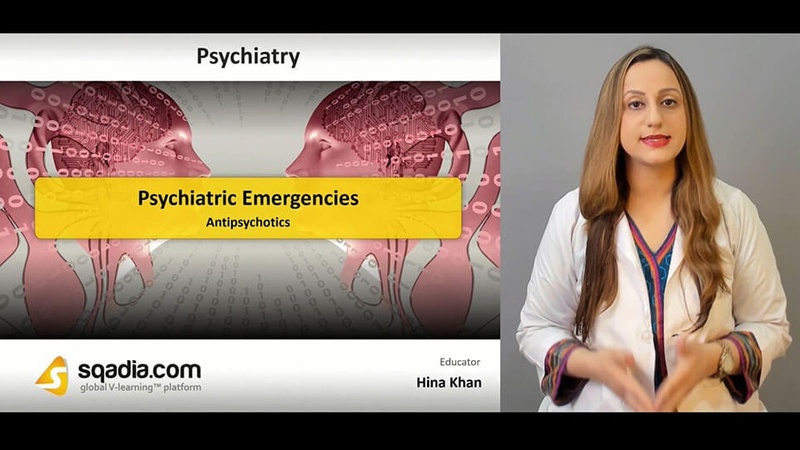 Dr. Hina Khan informs about array of antipsychotics. Treatment plan is also enlightened based on drug of choice, combination therapy, and dosage. Risks of acute tranquilization are reported lastly. The confusional state caused by withdrawal of alcohol is indicated as delirium tremens. Pupil dilatation, pyrexia, hyperhidrosis, signs of Wernicke’s encephalopathy are some of the clinical features of delirium tremens. Following this, delirium tremens factors are elaborated. Treatment modalities include pharmacotherapy with benzodiazepines and chlordiazepoxide. Complications involve subdural hematoma. Lithium has a narrow therapeutic range. Its therapeutic dose is close to toxic dose. Multiples levels of action of lithium include brain structure, neurotransmitter modulation, and intracellular changes. Acute and chronic side effects of lithium are also presented. For treatment purpose, sufficient IV fluid replacement and hemodialysis are advised. Subsequently, acute dystonia comes under debate. Neuroleptic malignant syndrome is a rare condition. Hot weather is a risk factor of neuroleptic malignant syndrome. Signs of NMS include muscle rigidity, hyperthermia, tachypnoea, elevated white cell count, raised creatinine phosphokinase. Dr. Hina Khan also discussed medications causing NMS. Alongside, management and treatment approach are also conversed about.